The MLB lost a young star Sunday when Miami Marlins ace Jose Fernandez was killed in a boating accident. The entire baseball world is mourning the death of the 24-year-old father-to-be, one of the sport's very best since he burst onto the scene in 2013. Red Sox slugger David Ortiz, being honored by teams for his retirement, asked the division rival Tampa Bay Rays not to celebrate his own career Sunday. "Today, we have an event on the field, about my retirement, here down in Tampa, and I told them, 'No, I don't want that to happen,'" Ortiz said in a phone interview with MLB Network before the game. "We've got to think about Jose, Jose's family today. It's all about him." Even though Ortiz has faced the Rays in more games than he’s seen any team but the Blue Jays and Orioles, he says the priority needs to be Fernandez. "We decided to give him a moment of silence out on the field today," Ortiz explained. According to MLB.com, Rays pitcher Chris Archer and third baseman Evan Longoria met privately with Ortiz before the game, bringing him the team's intended gifts — 34 handcrafted cigars, donations in his name to the Miracle League of St. Petersburg and the South Florida Latino Scholarship Program totaling $5,000 apiece, and an oil painting commemorating his 500th home run, which he hit last season at Tropicana Field. Still wishing to pay their respects tastefully to Big Papi, the Rays displayed his photo on the scoreboard during the game with a message reading "Thanks for the memories, David." Given today's tragedy, we are canceling our pregame ceremony recognizing @RedSox David Ortiz, per his wishes. The Marlins and Atlanta Braves have cancelled their game Sunday. 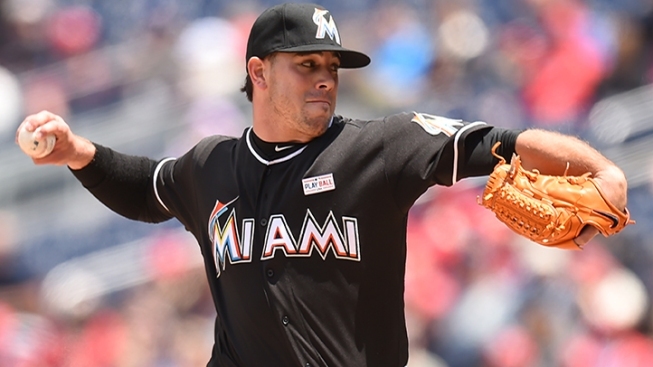 Fernandez was astounding in his short career, going 38-17 with a 2.58 ERA. Despite missing time in 2014 and 2015 undergoing and recovering from Tommy John surgery, he was an All Star this year, and in 2013, when he was also named National League Rookie of the Year.